Okay, so we all have or know of the one horse or pony that despite our best efforts does not respect electric fencing when rugged...and we think we may have the answer! Coming through one of our favourite electric fencing specialists Hotline, we have the Guardian Fence Buster Rug. It is designed to work with electric fencing to prevent escapees. The chest and neck area of the rug have the benefit of integrated panels designed to instantly transfer the pulse from an electric fence directly through the inside of the rug, so your horse will feel it the same as if it wasn't wearing one. The design enables layering of multiple rugs underneath the fence buster whilst still ensuring 100% effect from the fence is felt. This rug has many benefits we could talk about without the bonus-fencing feature, and even as a standard turnout rug its a pretty good one! We say: This rug is great value for money. 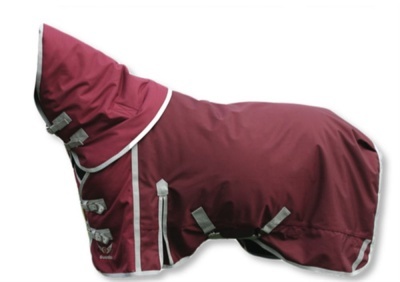 It has all the features of any other hardy winter rug, with the extra bonus of working with your electric fence to keep your horse safe!